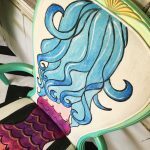 When I brought my mermaid chair vision to reality back in March of 2016, I never imagined I would be painting mermaid chairs around the clock for days on end! 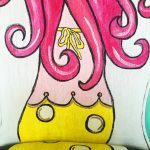 There is not a day that goes by that you will not find me surrounded by brightly-colored swimming beauties in my shop! 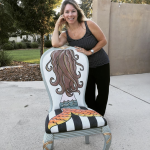 In fact……meet Sadie….the proud owner of the very first Mermaid Chair sold! 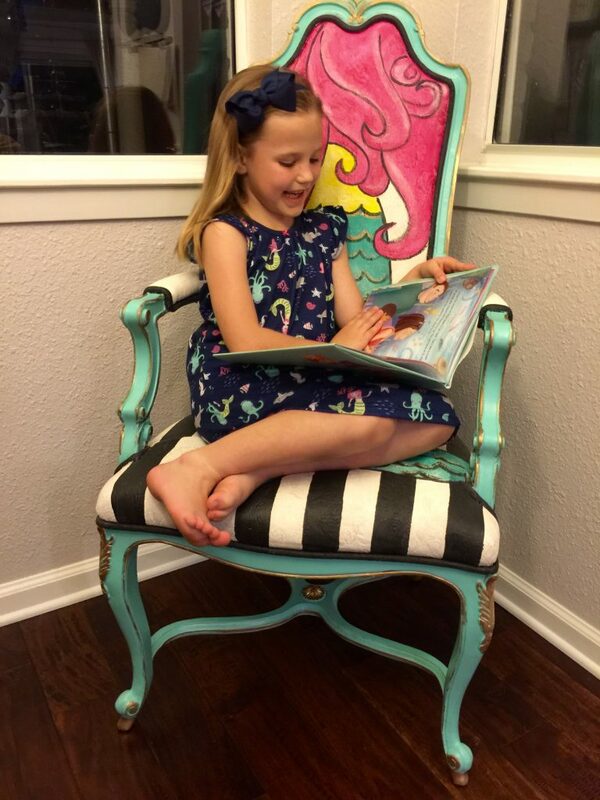 Her mommy sent this picture to me….Sadie in her Mermaid pajamas reading her favorite Mermaid book…..sitting in her very own Mermaid Chair! The matching armchairs below traveled all the way to New York! 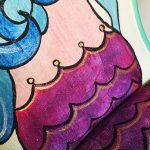 Those mermaid chairs will be enjoyed by a young girl as part of a reading nook. 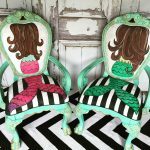 My Mermaid Chairs have traveled to Florida, California, Texas, Virginia and Louisiana. 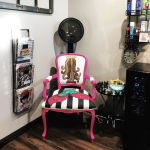 They now belong to several young girls, a physician, two sisters with a long running “mermaid joke”, a hair dresser, and many other mermaid lovers. 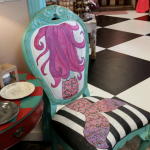 My mermaid chairs are now being sold in a few boutiques here in Texas and soon to be Florida! 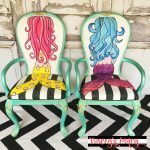 Here are some more of my painted Mermaid Chairs!!! Which ones are your fave?? 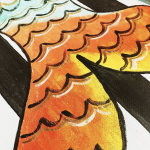 Or if you’d rather I do the painting and you just join my school of mermaids, you can order a custom-painted in my shop here. 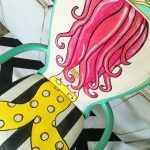 You can find my fave same mineral paint colors with Dixie Belle Paint Company.These are all affiliate links of which I could make a small commission, so thank you, thank you! You can also my favorite products and tools in my Amazon influencer list here. 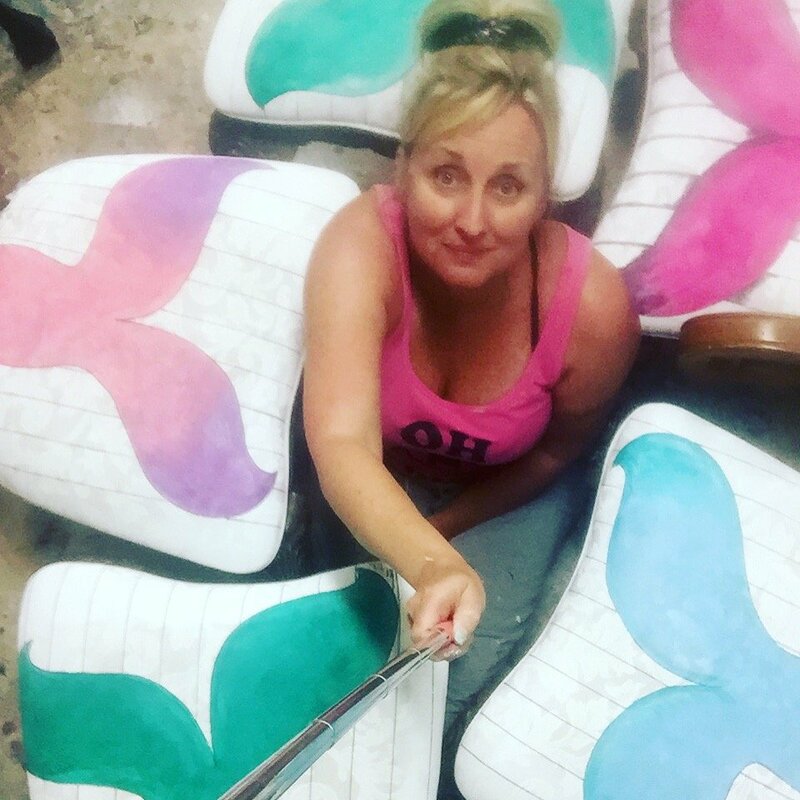 Be the FIRST to see my bold and bright and happy creations, just follow me on Instagram @traceysfancy! 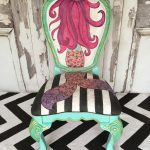 And PLEASE add my School of Mermaid Chairs to Pinterest for others to see and follow me on Pinterest! 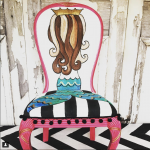 These chairs are sheer genius and sheer “FAB”ULOUS!! 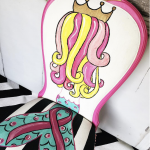 What a beautiful way to customize old boring chairs into one-of-a-kind art. 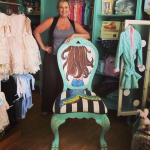 LOVE the photo of that sweet little girl in her mermaid chair, in her mermaid jammies! Thank you Nicole! 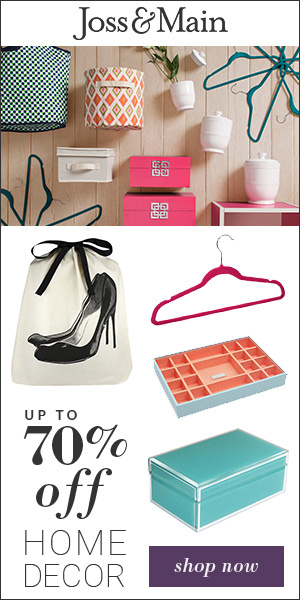 I love that FAB product! It has really opened the door to even more blank canvases in my world! Thank you for your time and kind word! 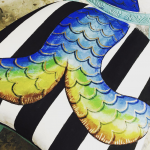 love love love the turquoise with the black stripe fabric…what fun!